It is Springtime! Finally! Oh yes, hooray! Thus it is that I am bringing to you all a new piece, which I’m calling Flowering of Light! This mandala was designed, drawn, and colored entirely on the paper, no digital processes involved. I completed it back in October, and am finally bringing it out into the light. 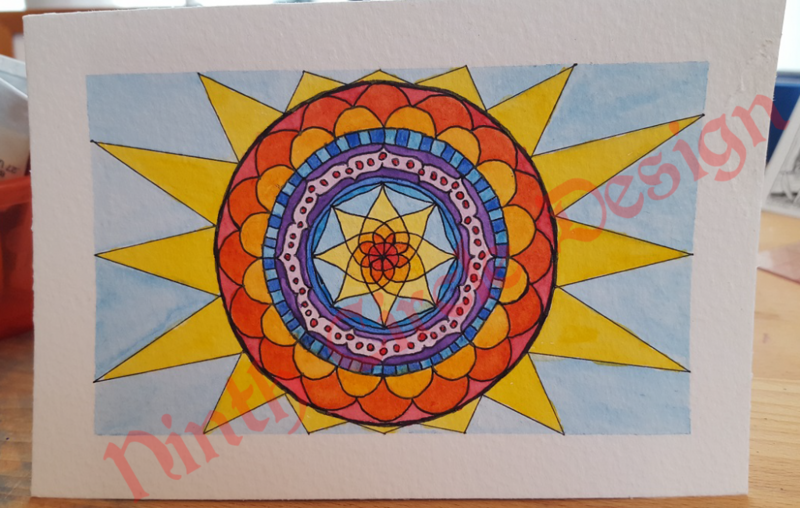 This is a 100% original and unique mandala. Watercolor and pen on watercolor paper, 4″x6″, postcard-size. It can be yours for just $23+shipping (to the USA only). It is unframed; message me if you want it framed. This entry was posted in For Sale, I Made An Art and tagged flowers, for sale, i made an art, mandala, painting, watercolor. Bookmark the permalink.